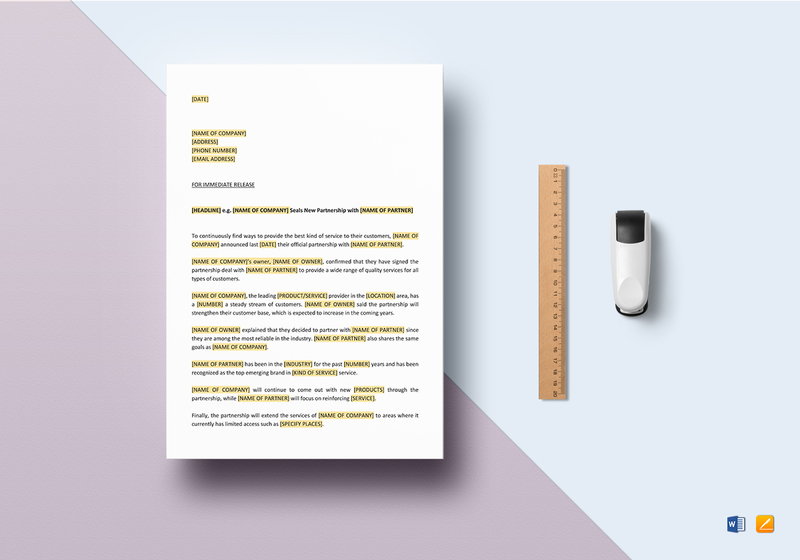 Never stress about press releases again, because Best Templates have them for every occassion. This new partnership-collaboration template will make it easier for you to create an official release. 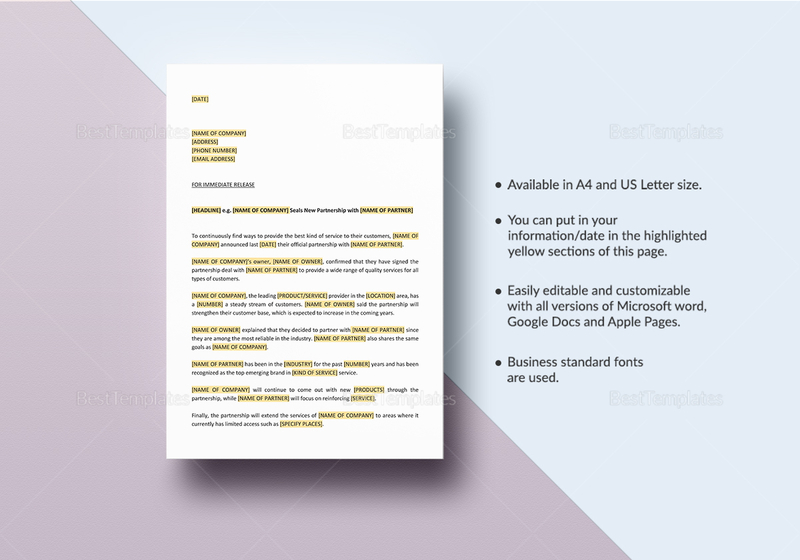 Simply download the file and edit the highlighted parts to customize it accordingly. The file is easily downloadable in different formats, so you can simply download, print, and share with no fuss.